Posted January 12, 2018 by Josette Farrell in News. The proposed new road layout around Galway Cathedral, including a potential plaza area. 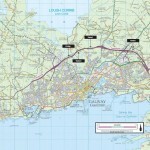 Galway City Tribune – The planning process for the most radical overhaul of traffic and transport in the history of the city is to be completed this year with ‘the cheque waiting to be written’ from the start of next year for the work to start, it was revealed this week. Close on €1 billion is set to be spent, between the provision of the Outer City Bypass as well as 20 ‘radical interventions’ aimed at prioritising public transport in the city and drastically reducing car usage in the inner urban area. City Council Chief Executive, Brendan McGrath, right, told councillors at their meeting on Monday that it was likely that the plan would be submitted directly to An Bord Pleanála later this year with a total spend of close on €1 billion earmarked for the bypass and the new transport strategy. “These are radical interventions and some of them will not be easy – in fact, they will be quite difficult – but doing nothing is not an option. “The NTA (National Transport Authority) have said to us that they want the planning process finalised in 2018 and that the funds will be available in 2019 to start implementing the strategy,” said Brendan McGrath. As well as the €650 million earmarked for the city’s Outer Bypass, €250 million has been allocated for the implementation of the new city traffic plan that will involve severe curtailment and changes to private car usage. 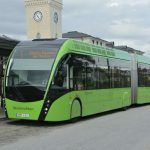 The roll-out of the Galway City Centre Transport Management Plan (GCCTMP) at Monday night’s meeting drew a mixed reaction from councillors with some opposed to the proposals while others welcomed the strategy as ‘the only way to go’ in terms of easing Galway’s ongoing traffic nightmare. 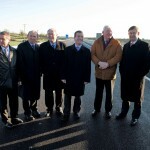 For full coverage of the transport plan discussion, see this week’s Galway City Tribune. Buy a digital edition of this week’s paper here, or download the app for Android or iPhone.